College isn’t a fashion show, but that doesn’t mean you can’t spend your time on campus looking your best and making a good impression on professors and peers alike. When you head off to the vaunted halls of learning, ostensibly to prepare for the working world, keep in mind that the way others perceive you is an important part of success, and first impressions can be made in as little as seven seconds, which means your look says a lot. 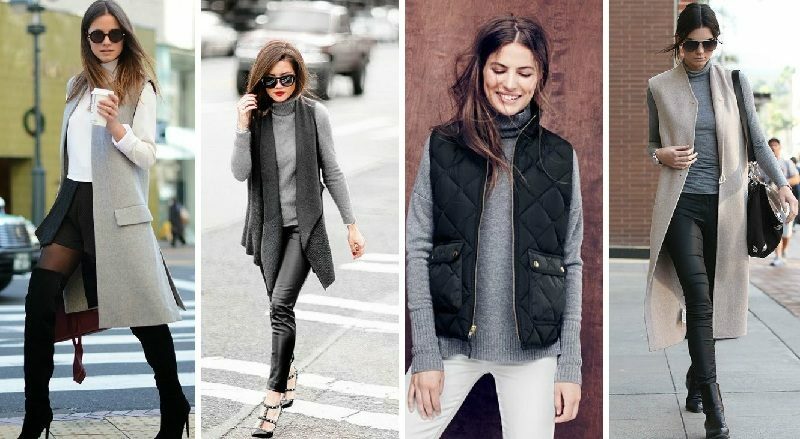 Here are just a few of the wardrobe essentials every girl needs if she wants to embody effortless style during her time in college. The basic college wardrobe includes jeans and tees, but you might be surprised by how chic this simple combo can look. You just have to stay away from items that are too distressed (or worn and torn), as well as garments that just don’t fit well anymore. Swimming in your clothing and showcasing muffin top are equally unflattering options. Instead, think about pairing a simple, soft jersey V-neck with skinny jeans, leggings, or a trendy, tea-length skirt. With some flats or booties, an infinity scarf, and a few bangles, you’ve got a super chic look with very little effort. Basics like jeans and tees are just the beginning if you want to create fashionable outfits. From there you need to add finishing pieces to complete your look. Jackets are the go-to when it comes to taking your ensembles to the next level. What do you need? A simple, structured blazer and a jean jacket should be part of every girl’s wardrobe. But you should also have a couple of fun and funky pieces like a colored moto jacket or a cropped, embellished tweed number. Cardigans are also great finishing pieces to consider. You’re bound to do a lot of walking on campus, and while flip flops are easy to slip on and Chuck Taylors are casual cool, neither provides the arch support needed to keep your feet feeling fine throughout the day. As an easy alternative, consider a pair of stylish trainers. These aren’t your average gym shoes – they’re designed as much for fashion as comfort. You can find a wide variety of options from a multitude of athletic stores (Nike, Adidas, Sketchers, and more). There will be times during your college career when you need to step it up where your wardrobe is concerned. Whether you’re giving an oral presentation, applying for an internship, or attending a job fair to network, you need to look like you understand business appropriate attire. Every girl should therefore have at least a few items of business-casual clothing, and it couldn’t hurt to have at least one suit, including a neutral blazer paired with slacks or a skirt. For those days when all you want is to slip into uber-comfy sweats while you study in the dorms, there’s nothing better than apparel that bears your college logo. You can also wear garments featuring your college name or team logo to games, around campus, or anywhere you want to pronounce loudly and proudly that you are college student. Whether you’re taking classes through UAB Online or you’re studying on campus, every student needs to have at least one hoodie, tee, or other items of clothing that displays school spirit.